Situated on a key corner site between 312th Road and the GHM Hotel and Apartments, this tower forms a distinct end to the World Trade Centre's Phase I diagonal street. 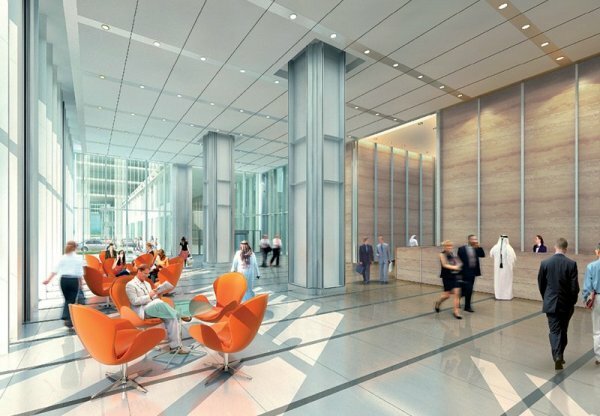 The office tower is envisaged as a high-rise smart office combining the latest technology with flexible plan layouts in a Grade A1 environment. It comprises 3 articulated stepping wings with an efficient central core of lifts and staircases serving two sub-dividable office floorplates to either side. 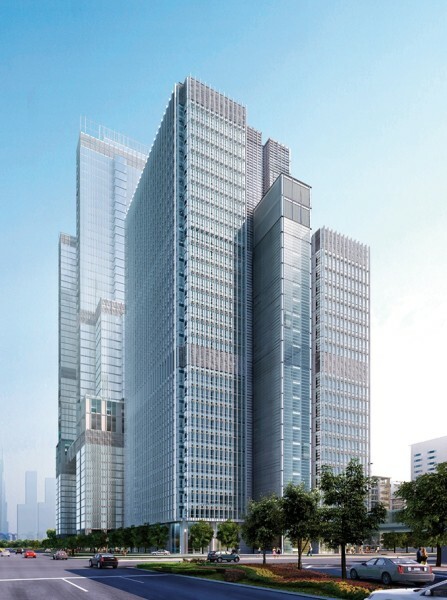 For further information about the associated World Trade Centre Masterplan, please click here.